Welcome to this episode of the Real Fast Results podcast! Today’s special guest is Amy Harrop. 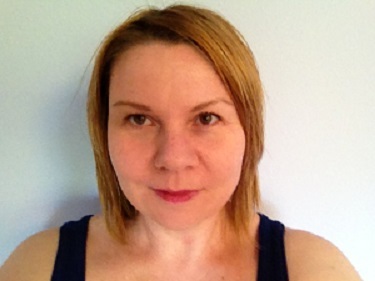 She has been an avid writer and reader all her life, and she’s happiest running her own business. She lives in northern Idaho with her husband and two cats. 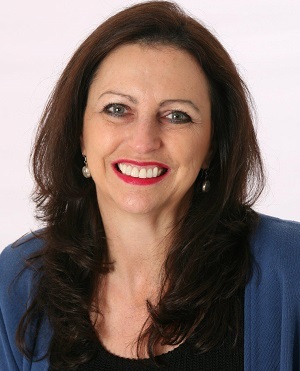 Her background is in film production, writing, teaching, training, and sales. It was about six years ago that she got into publishing and writing. That’s when she first became self-employed, and she really hasn’t looked back since. Thank you so much for having me, and I want to say a big “Hello” to everyone out there. The reason why we are here today is that I’m really excited to share how you can take advantage of some very popular trends and also emerging technology. This emerging technology is going to allow you to make money and grow your business in ways that you were never able to do before. By getting into the forefront of this trend, where people are spending millions, billions, and even almost trillions of dollars within these industries, you are going to be able to grow your business. [bctt tweet="What I’m talking about is card deck publishing." username="danielhall"] What’s really exciting about card deck publishing is that it is at the crossroads of two trends. First of all, there’s eCommerce. I’ve been doing some research recently on eCommerce, and eCommerce is an “over-a-trillion dollar business” now. It’s going to continue to grow even more as we get into 2018-2010. That has crossroads with self-publishing, and self-publishing is a multi-million dollar business, and it’s getting close to becoming a billion dollar business. Card deck publishing is really a hybrid, or a marriage, between the two of these. If you want to take advantage of this, and go ahead and get started, you can go to RealFastResults.com/carddeck. I have a complete card deck publishing course there, Card Deck Publishing Profits. It’s going to walk you through all of the different availabilities of these cards and these niches. 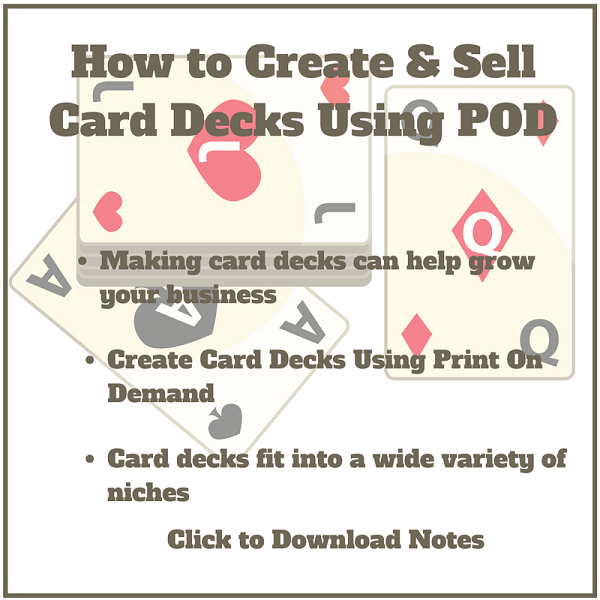 How you create the cards, how you can re-purpose or use even other people’s content to create cards, and how to promote the cards and get them up and running in these different marketplaces. So, it’s a complete in-depth training, and you can get it at RealFastResults.com/carddeck. Welcome to this episode of the Real Fast Results podcast! 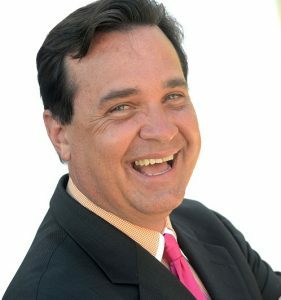 Today’s special guest is Andrew O’Brien, who is the founder of “The Publicity Guy”. This is a modern-day public relations firm, and it is the first of its kind. 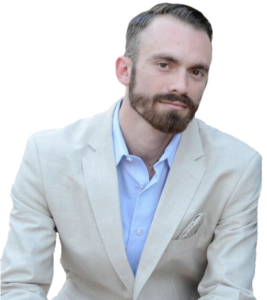 Not only does Andrew help his clients to get interviews and media attention, but he helps to turn all of that into even more money by utilizing these opportunities and turning them into real sales tools. My big promise is that, whatever podcast you’ve been on, blog post, media interview, no matter what type of media outlet… I’m going to teach you how to turn every single one of those into a lead generating, sales generating tool in your business that’s fully automated, that you never have to touch once you hit play. Look at everyday people. If you look at people that have been on the Oprah show, or any kind of international TV, Good Morning America, they get their chance in the spotlight, and then they’re gone. They disappear. Then, their businesses fail. They don’t leverage it. 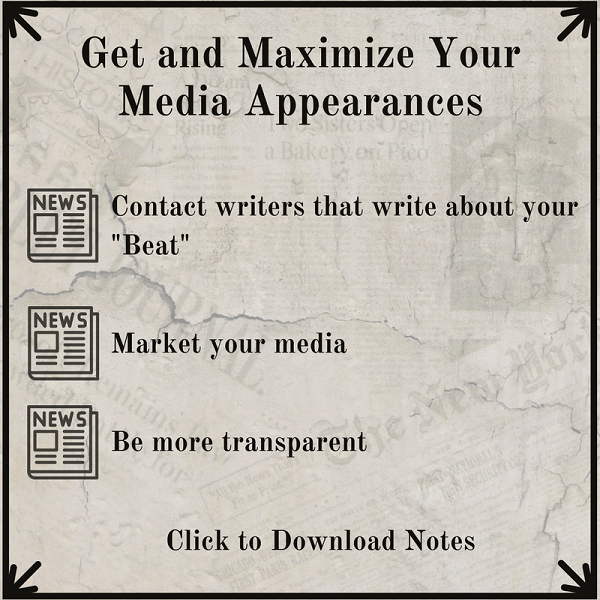 Contacting writers that write about your "Beat"
You can just go to ThePublicityGuy.com. You will find everything that you need on me there, and you can find me on Facebook. Welcome to this episode of the Real Fast Results Podcast. I am happy you are here. I want to jump into a question I get all of the time from authors and that is: How do you title your book for maximum readership? Just like the cover of your book, the title of your book is equally important. 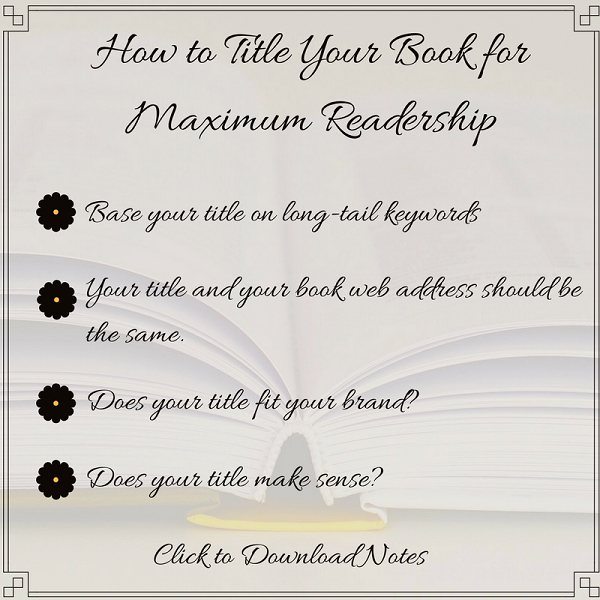 I am going to discuss four primary areas of consideration when titling your book for maximum readership. I have seen so many authors just come up with what they think is a good title without considering the nomenclature used by the marketplace to describe what they are writing about. Does your title fit your brand? Does your title make sense? Thank you. I’m honored to be here. Our big, bold promise today is that if you get a Wikipedia page, it’s going to greatly enhance your reputation and your credibility, as perceived by others. So, it’s going to make you look good, and it gives you more credibility in the world. Definitely, more “street cred”. We’re going to talk about how to qualify to get one of these pages. It’s the kind of thing that not everyone can have. [bctt tweet="It takes some serious qualifications to be able to get a Wikipedia page, and most people don’t qualify." via="no"]That’s why getting a Wikipedia page is so prestigious. 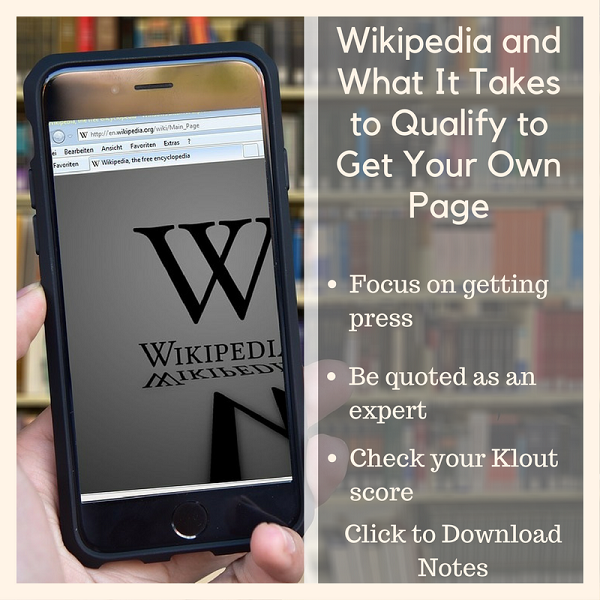 Most people know that most people don’t qualify to get a Wikipedia page. So, when someone is doing a search for you, your organization, your product, your service, your book, they are going to see it. Usually, it’s one of the top items in search results. People see that you have a Wikipedia page, and it’s like, “Oh!” It just adds a real layer of credibility. I’m sure each of the members of this audience have experienced this when they were looking for someone or something and find that there’s a Wikipedia page. It causes a person’s perception of something to go up another notch. You can, of course, connect with me through RealFastResults.com/wiki, but I also have a website. It’s GinaCarr.com. It has a “Contact Me” tab, and all of my social links are there. My main social “Bat Channel” is Facebook. So if you want to contact me directly, you can get in touch with me through the website and/or through Facebook.